If you haven’t already, please like us on facebook and follow us on twitter. 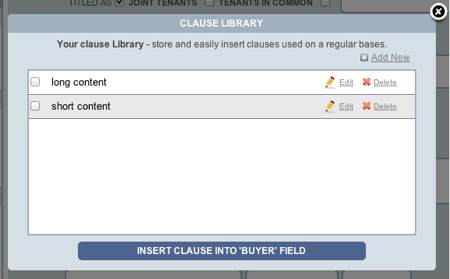 As of last week BULL Forms Texas enabled a clause library available for all TREC Texas Contracts. 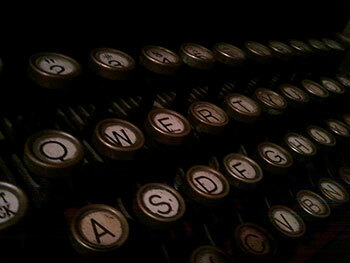 As with most features, we try to make them as easy to use as possible. Let’s take a brief walkthrough of the feature. 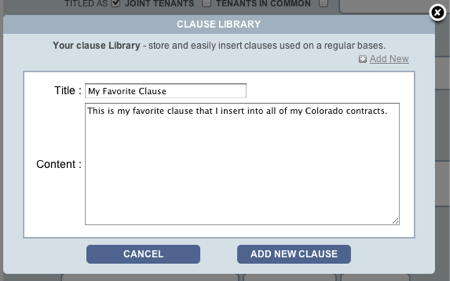 When adding a new clause, you select a title for your clause and enter as much text as you like into the content. If you are inserting a long clause into a small field the text will cut off, so please ensure you pay attention where you are inserting your clauses. 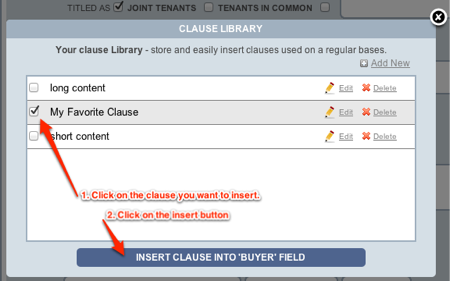 The clause will automatically be inserted into the field. 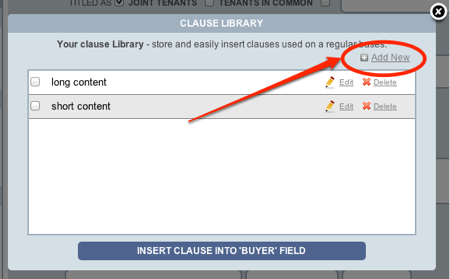 If there is text currently in the field, the inserted clause is appended to the end of the current text. Texas is a big state with big properties. We wanted to take a look at some Texas real estate facts that we thought were both entertaining and surprising. 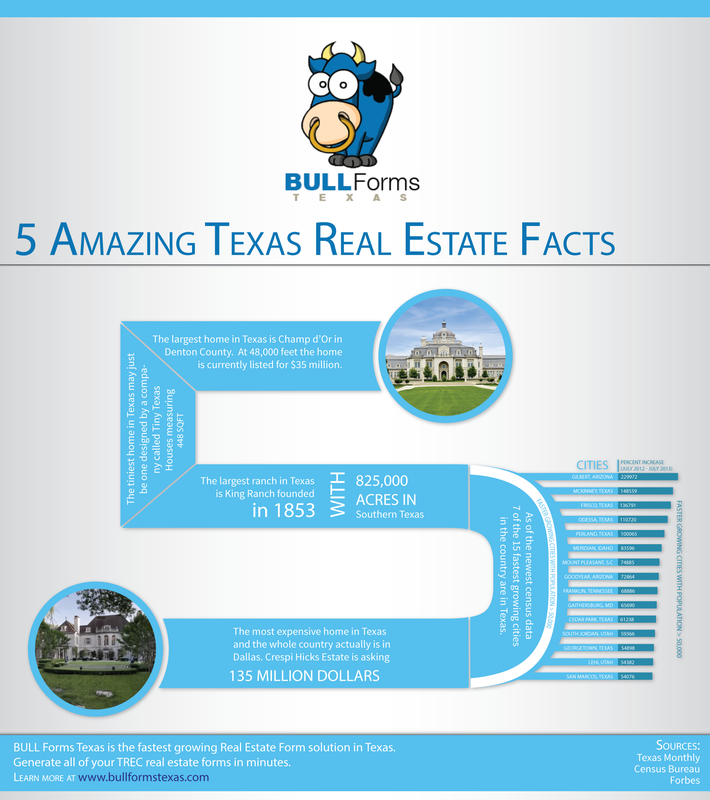 Hopefully this infographic about 5 selected Texas real estate facts will surprise you. From the largest Texas home to the largest Texas ranch, these facts are amazing. 1. The largest home in Texas is Champ d’Or in Denton county. At 48,000 square feet the home is currently listed for $35 million. With this much space it would be easy to get lost. The average home size in Texas is somewhere around 1700 sq ft.
2. The tiniest home in Texas may just be one designed by a company called Tiny Texas with houses measuring 448 square feet. Tight quarters if you are living with a family and children. You can find plans to build your own tiny home online at Tiny Texas. 3. The largest ranch in Texas is King Ranch, founded in 1853 with 825,000 acres in Southern Texas. You probably recognize their logo as they have been around since 1853. 4. As of the newest census data 7 of the 15 fastest growing cities in the country are in Texas. Those cities include McKinney, Frisco, Odessa, Perland, Cedar Park, Georgetown and San Marcos. Texas is growing and at an alarming rate. While Texas continues to offer big property with big real estate prices and figures, the majority of Texas real estate facts should be focused around smaller agents and attorneys. By far our clients are made up of smaller operations with smaller group sizes. 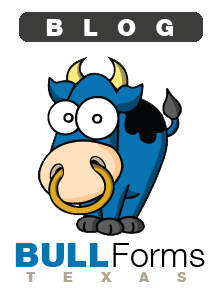 Bull Forms offers a simple online solution to generate all of your Texas real estate forms with simplicity. 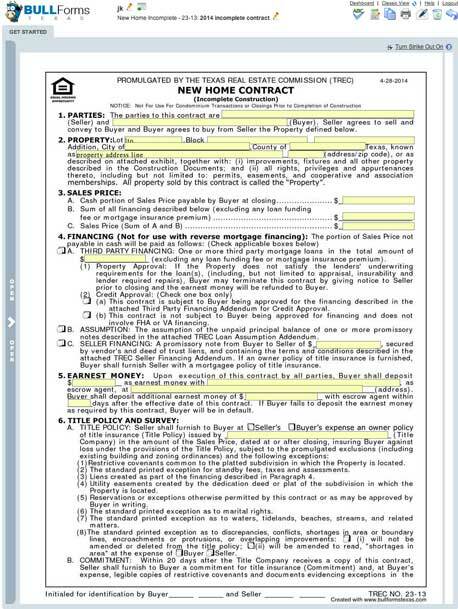 Learn more about our Texas real estate form software here. Should I Encourage Full Texas Real Estate Disclosure To My Clients? One of the common issues a texas real estate agent will encounter is disclosure with their clients’ homes. 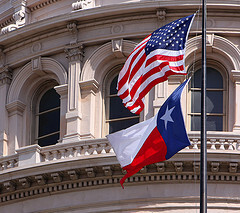 In Texas real estate disclosure is not to be taken lightly. It’s without a doubt a two-sided issue: should you risk losing a sale by encouraging your clients to disclose all defects or should you have clients not disclose to you problems and sell the property faster? By taking a closer look at the issue, you can determine the right thing to do. 5.008(a) A seller of residential real property comprising not more than one dwelling unit located in this state shall give to the purchaser of the property a written notice as prescribed by this section or a written notice substantially similar to the notice prescribed the his section which contains, at a minimum, all of the items in the notice prescribed this section. In addtion to Texas real estate disclosure laws and consumer rights movement, many states have implemented disclosure laws stating that real estate agents and their clients must disclose any problems with a property to potential buyers before the sale goes through. It’s essential to know your state’s disclosure laws. Pennsylvania law states that agents must “deliver” a document disclosing all defects either in person, via certified mail or fax. 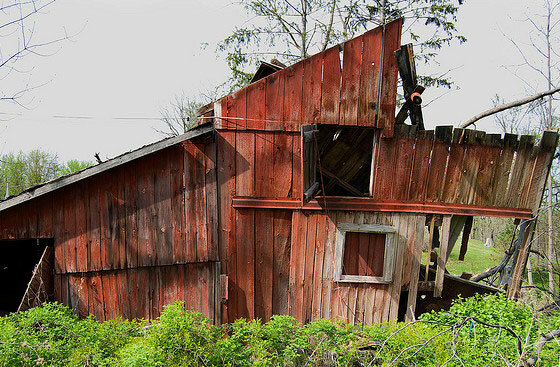 In many states, failing to disclose property defects can result in liability in a court of law. With Texas real estate disclosure laws the purchaser can terminate the agreement and additional fraud penalties may be applicable . What Must Be Disclosed with Texas Real Estate Disclosure? Generally, any issue that will cost money for the buyer or that will present a potential health hazard should be disclosed. Most states have forms that real estate agents and their clients can check off and they can provide details to clarify issues. Some of those issues that must be disclosed include any issues with plumbing, leaking water, any type of insect infestation, roof problems or defects, heating or air conditioning system issues, drainage problems on the property, foundation instabilities or cracks, any title issues on the property, neighbor issues and lead paint. In many states, if the home has been part of a violent crime, that must also be disclosed. Always err on the side of over disclosing. Its not worth risking it. If you encourage your client not to disclose the issues with their property and they sell the property without doing so, they could end up facing some pretty stiff consequences. Should the buyer go to court and sue, your client could end up paying for repairs and damages resulting from the undisclosed defect, attorney’s fees, punitive damages, and more. In addition, your client could be forced to take back the house if the court finds the sale invalid. Furthermore you could face sanctions against your license or be sued personally. 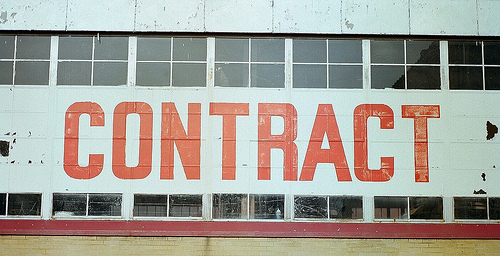 We highly recommend you disclose and encourage your clients to do so. 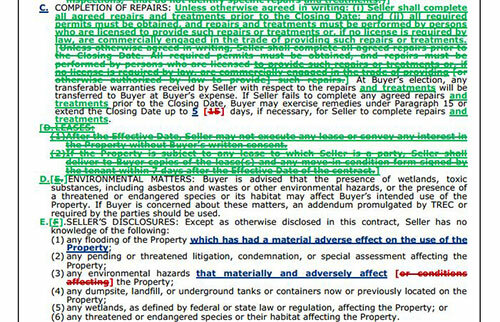 Perhaps most importantly of all, it’s the ethical thing to do to disclose defects with the property. No real estate agent would want their mother, sister, brother or another family member to purchase a home only to end up discovering that it’s full of defects and problems. 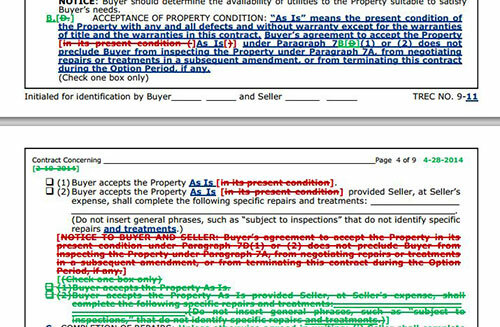 So, why would you try to sell a home riddled with defects to another person? To maintain an honorable reputation and do the right thing, you should always encourage your clients to disclose defects with their property. Talk to your clients about the responsibility of disclosing property defects and issues. Discuss the potential problems with selling the home (slower response from potential buyers) and discuss the consequences for not disclosing those problems. Maintain an honorable position and let your client know that it’s always the right thing to do to disclose problems and hazards. Lastly with Texas real estate disclosure its important to take it seriously. If you are in doubt, contact and attorney to discuss and get advice. We are not qualified attorneys and you should always consult a professional when dealing with texas real estate disclosure issues and transactions. 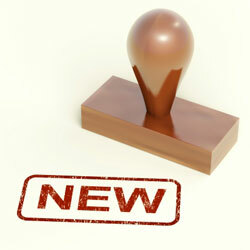 As of March 5 2014 the Texas Real Estate Commission have released one new form updated forms with two replacement forms. Here are the details of these new TREC Forms. 47-0 : Addendum for Property in a Propane Gas System Service Area – This is essentially a disclaimer that your property may be located in an area that uses propane gas and notice that there may be additional costs associated with getting service and connections for the property. Its a further disclosure to protect the purchaser. As always these updated forms are included at no additional charge and are updated in our TREC Forms library. 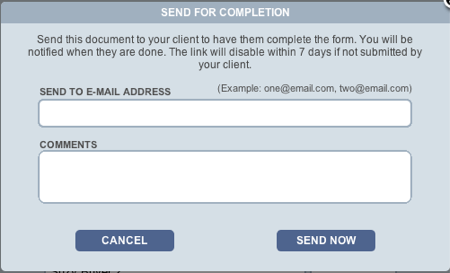 Learn More about our Texas Real Estate Form Filler Software.